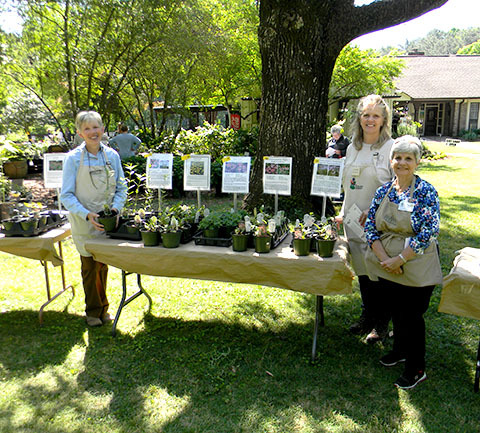 Description: Join us for our annual Spring Plant Sale. Thursday, April 26, 10 a.m. - 6 p.m.
Friday, April 27, 9 a.m. - 5 p.m.
Find the perfect plants for your container or garden spot! Volunteers and gardeners will be on hand to help with selections and to give advice about placement, care and maintenance. Customers can own "a little bit of Aldridge Gardens" when they buy a pass-along plant that lived there! We are going to have many plants with an Aldridge Gardens heritage. In addition, we'll also have many more from members and friends of the gardens! Our main feature is always the "Snowflake" hydrangea, but shoppers can also choose from a host of others. Shoppers will find many varieties and sizes of hydrangeas at our annual Spring Plant Sale! Meet The Grumpy Gardener, Steve Bender. He'll be signing his self-titled book, The Grumpy Gardener, from 10 a.m. to noon. And, remember, members always get 10% off purchases!